A new and rather spectacular find was announced recently on social networks and the belarussian media. 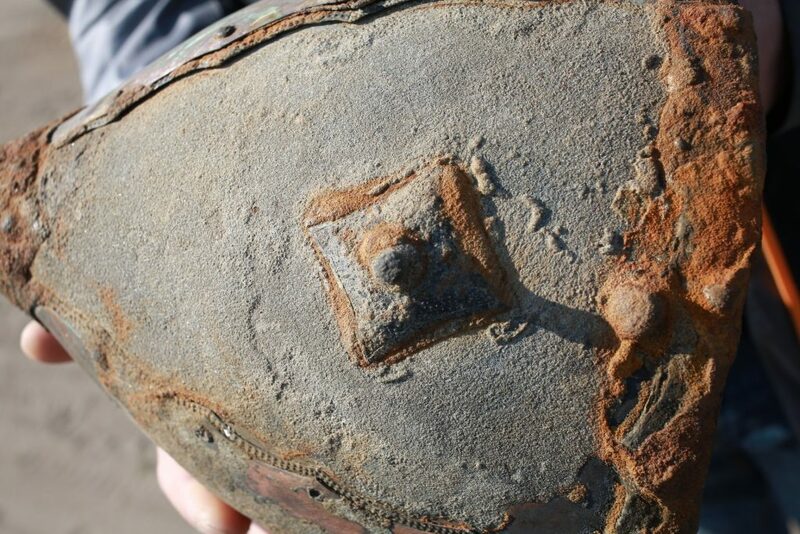 This helmet may be a modern fake, deposited in order to create resale value, but it might well be authentic. 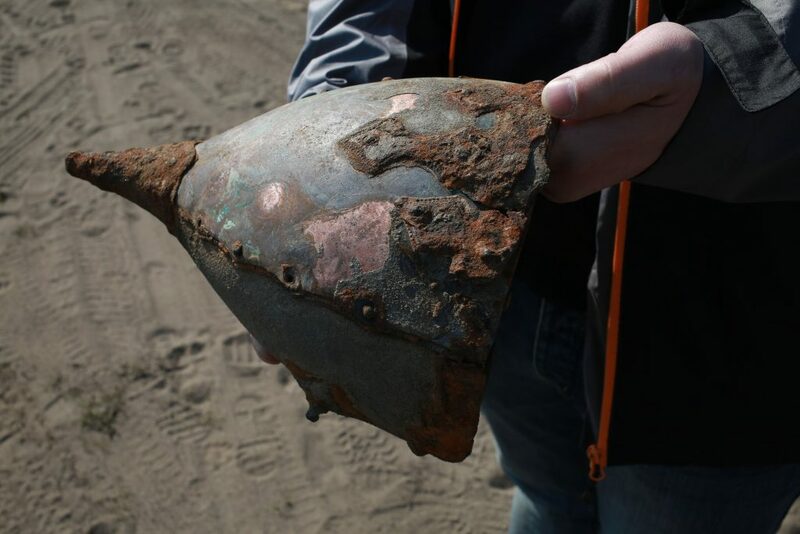 The helmet was found on the shore of the river Березины (Berezina River) in the town of Бобруйске (Babruysk) in Belarus. A local worker for the waterways company found it washed ashore after the winter ice cleared off. In 2018, said the local man, work was undertaken to widen and deepen the river, and maybe the helmet was accidentally uncovered during the work. The findplace of Babruysk has history spanning back to the Stone Age, and during the times of Vladimir the Great, a village was on the river bank of Berezina River. These are some pictures posted by Аляксей Бацюкоў, a historian at the Historical Museum in Mogilev, Belarus, who shared an enthusiastic account of the find on social media. The helmet is of the Chernigov type, and in fact so similar to the original Black Grave helmet that at first glance, I thought a reenactor had left it outside for a few months. The condition of the find is amazing. 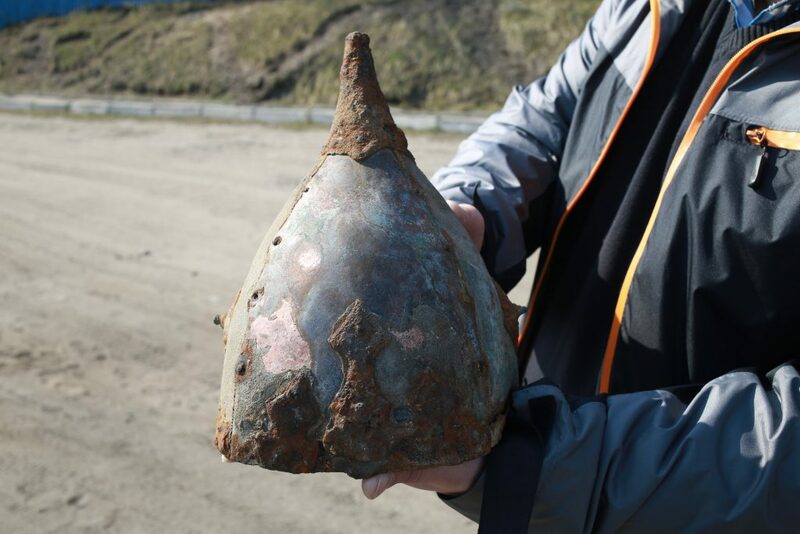 The helmet consists of four overlapping, jagged iron plates, covered by almost identical copper-alloy plates. Decorative elements are attached to the left and right of the helmet, and to the front (three symmetrical lobes, the tallest one marking the center. In the last picture, you can see a tiny protrusion just above the finder’s thumb, and some enthusiastic reenactors suggested this could have been a nasal that broke off. Helmets of this type are usually dated to the 10th century AD, and since this find has, as of now, neither undergone conservation nor analysis, it’s too early to say if this tentative dating applies to it. Maybe it is dated to 2010, maybe not. I will update this article when new information arises. 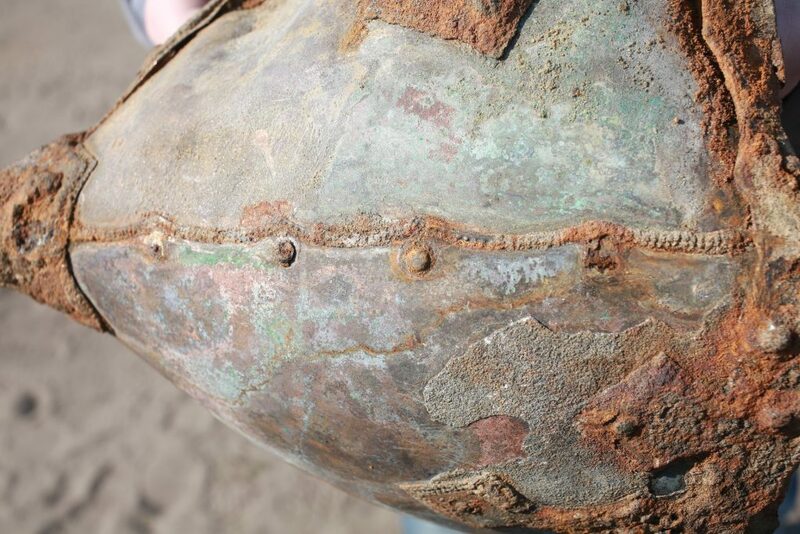 Reconstructing a belt: Deliberately damage replicas? The Length of Early Medieval Belts | Projekt Forlǫg bei [EN] How long were belts in Birka?